The Builder obituary refers to “the schools of the Church of St. Stephen and All Martyrs, at Lever Bridge”. The north wing was added to the school, designed by Edmund Sharpe in 1854, in 1881, and the infants’ school in 1902. Freeman drew the plans for the latter in 1901. 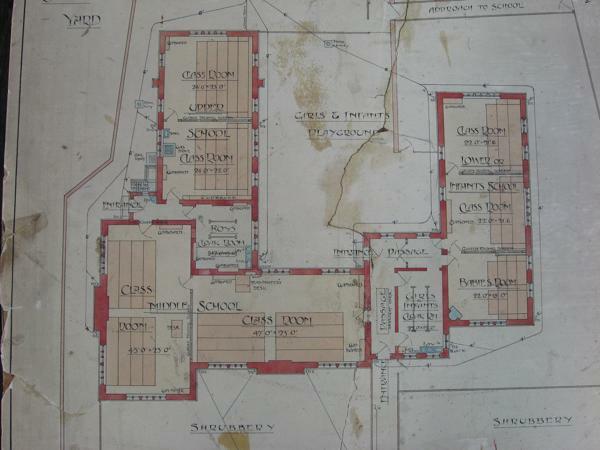 The extensions were both in a very similar style to the original school using terracotta and similar window openings.